Pets today can live longer, healthier lives than ever before - in part because of vaccines that help protect them from deadly infectious diseases. Over the years, vaccines against dangerous diseases have saved millions of pets and virtually eliminated some fatal diseases that were once common. Unfortunately, many infectious diseases still pose a significant threat to dogs and cats that are unvaccinated. Although vaccine programs have been highly successful and vaccines are considered routine today, we (as caregivers) and you (as pet parents) cannot afford to become complacent about keeping pets up-to-date on their vaccinations. Many vaccines are available for use in dogs and cats, but not every pet needs every available vaccine. 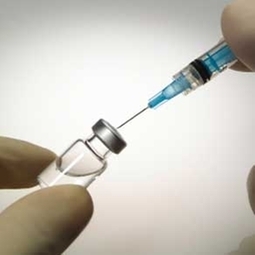 Some vaccines are considered core vaccines and should be administered to all pets, whereas other vaccines are optional and may be recommended for pets based on a variety of factors, such as their risk for exposure to disease. Vaccine recommendations can also change throughout a pet's life, as travel habits and other variables change. We will consider all these factors as we determine which vaccines your pet should have. We use non-adjuvanted vaccines in our feline patients to help minimize vaccine site reactions and sarcomas. We understand that your pet is unique and that no single vaccine program will be ideal for every pet in every situation. Our doctors and staff here at Clearview Animal Hospital are well-educated about veterinary vaccines, and our goal is to give you the best advice for keeping your pet healthy. We pay close attention to the recommendations put out yearly by AAHA and adopt our vaccine protocols based on safety and efficacy. Let us develop a vaccination schedule and ongoing booster routine that accounts for your pet's lifestyle, overall health, risk for exposure to infectious disease, and other factors.